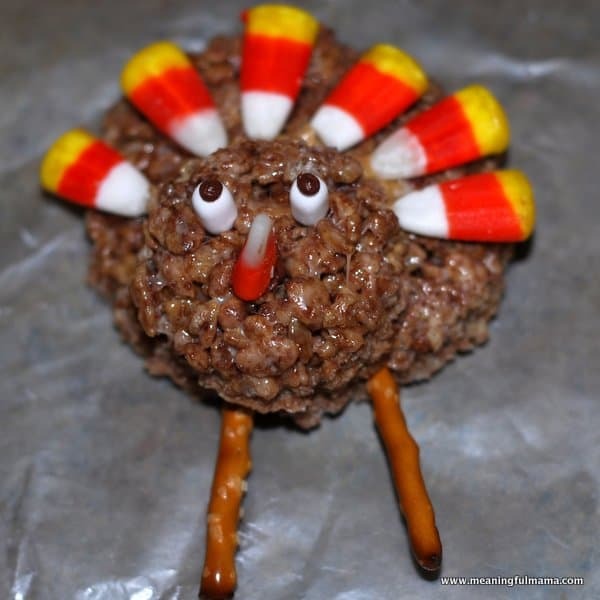 I have had a lot of fun with food design in the past. I had my original fun with food post, but I also had a day celebrating Valentine’s Day and St. Patrick’s Day. 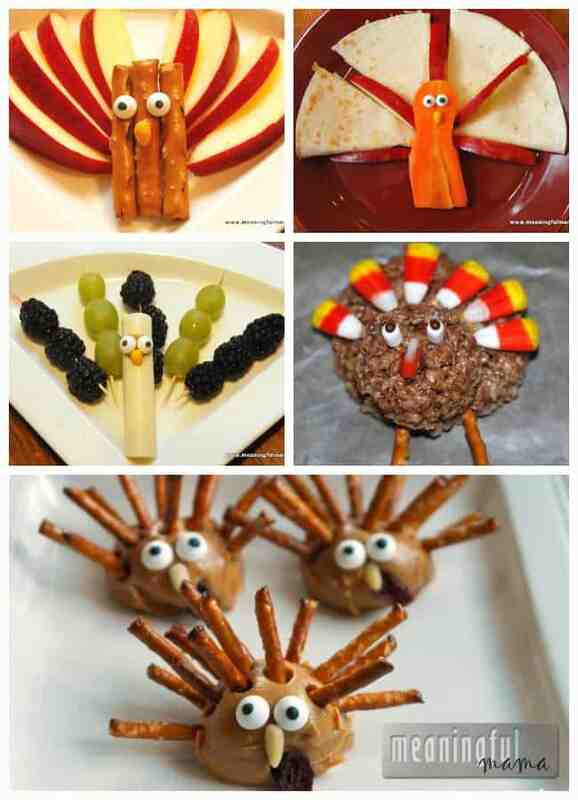 We have also had fun with food faces. I thought I’d give it a whirl leading up to turkey day. 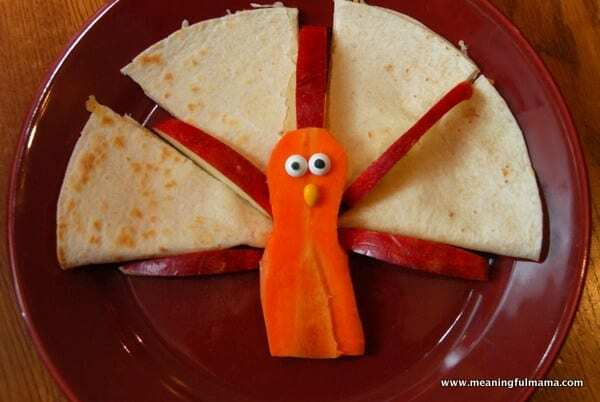 Lunch consisted of quesadilla and apple feathers with a carrot body. I had some candy eyes and a chocolate covered sunflower seed nose. 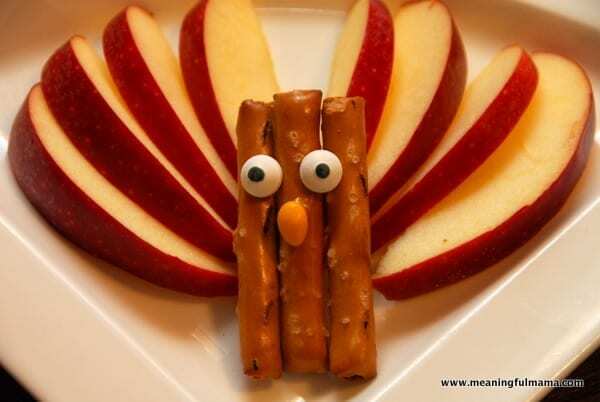 A great snack is apple feathers, pretzel body and the same eye and nose combination as above. 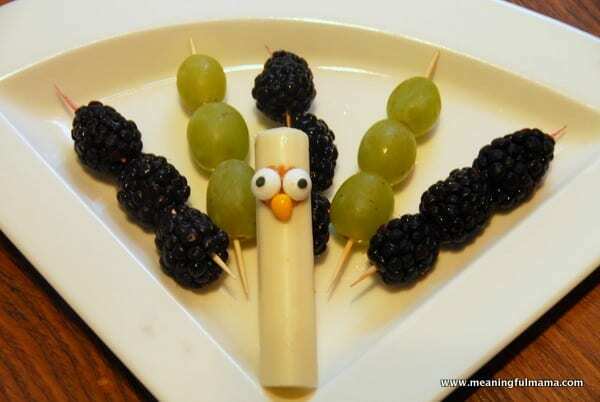 This snack consisted of blackberry and grape skewers to make up the feathers. There was a string cheese body and the same eyes and nose as above. Great & creative, wish I was in the States! Found you through We Are That Family. These are SO cute! Thanks! How are the nose and eyes adhered to the bodies? 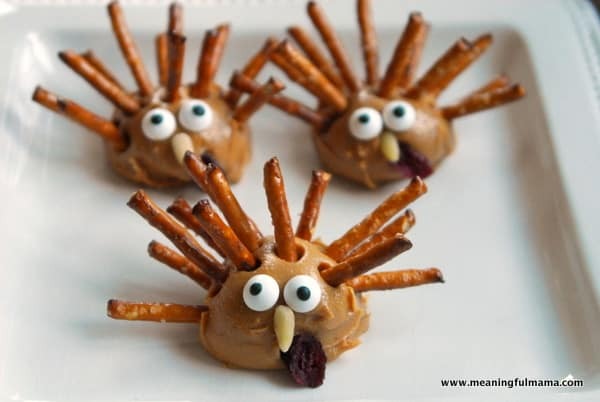 I believe the carrots & pretzels had the eyeballs just sitting on the top. For the string cheese I used peanut butter. Have fun!